Enhance your colour with My. Haircare. 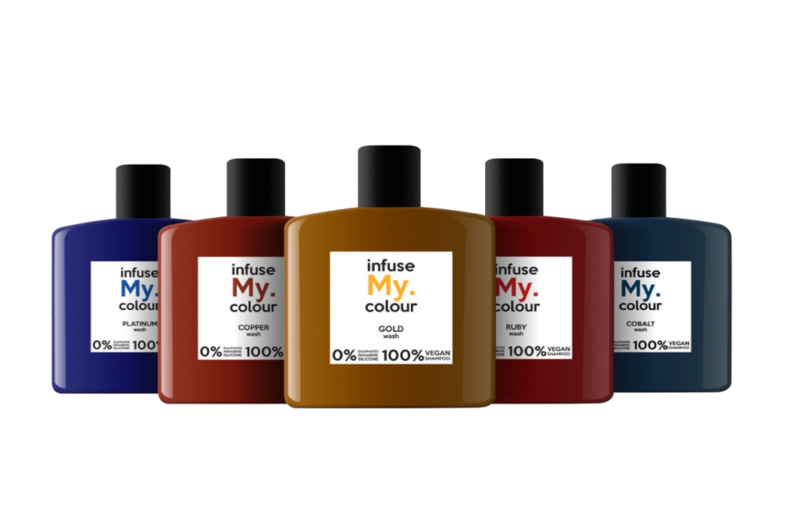 Introducing infuse My. colour washes, a haircare range designed to help the management of colour fading between hair appointments. The range contains five colour enhancing shampoos to revive, refresh and add tone to coloured hair for brightness and vibrancy. Play with your colour and temporarily experiment with changing your shade, or use these as a regular colour refresher in between salon colour appointments to add vibrancy and vivacity. Each shampoo is 100% vegan with 0% sulphates, silicones or parabens to reveal beautiful and vibrant hair colour.